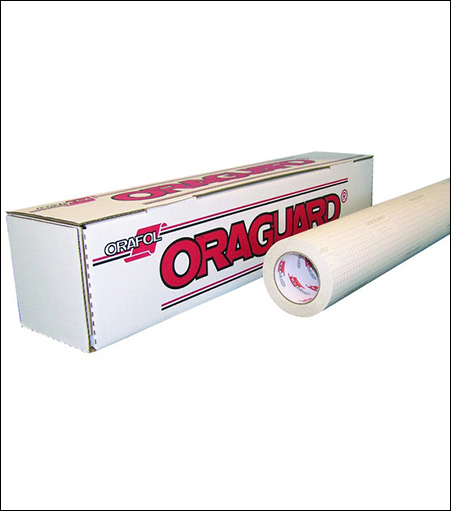 Orafol / Oracal Oraguard® 290GF Premium Cast Laminating Film. If you're creating signage for windows or other transparent applications, your laminate choice is clear. Oraguard® 290GF is a 2-mil, 8-year optically clear cast film specially designed for use with perforated window graphic films and other applications where the highest levels of clarity and transparency are needed. Available in gloss finishes with a UV protection extension factor of 4 years. Recommended for cold lamination.